Which Sheet Would You Feel Most Relaxed On: Silk vs. Cotton? Choosing the right bedding for you mainly comes down to finding out exactly what kind of sleeper are you and the types of fabrics that actually feel good on your skin. If you’re someone who resides — and subsequently, sleeps — in a cold climate then you’re going to need warm bedding. Otherwise, if you live in a tropical or warm atmosphere, you’re probably going to need sheets made with a fabric that can breathe and won’t make you sweaty. Put it this way: you should think less about thread count and more about what you need for a good nights’ sleep. That said, more often than not, the choice often comes down to silk vs. cotton. The one thing you should not say to women. Silk and cotton are very popular natural materials when the discussion comes to bed sheets. With their outstanding features, it is no surprise that they are the fabric that make up a vast collection of cozy, comfortable and well-loved beddings. Sheets made of either silk or cotton have remarkable comfort and insulation properties. But being someone who has slept in sheets of all kinds, brands and sizes, I can tell there are differences just by a simple touch. Indulging in excellent comfort and a good night’s worth of sleep largely leans on the kind of bed sheets you are choosing from. Silk and cotton sheets are both wonderful choices, but diving in a little more into their features will unravel their unique differences, thus giving you a better perspective of which fabric works best for you. In this article, we are going to go through the distinct differences of silk and cotton sheets as well as that of cotton against the fabric known worldwide for its supreme comfort — not to mention lavishness — Egyptian cotton. But before we go any further, let us give you a general list of tips that you can use to pick your ideal bed linen. Click here to find out what our recommendations for best silk sheets are! Which Takes the Cake: Silk Sheets vs. Cotton? Which is Better? Silk Sheets vs. Egyptian Cotton? Given that we spend around a third of our lives on the bed, snuggled in bed sheets, fast asleep, it makes absolutely perfect sense to invest in bedding that’s not just comfortable, but durable as well. With sleep being vital to our health, it’s only right that you do so, lest you want to always be on your boss’ (or worse, your loved one’s) bad side. Worry not, as we’re presenting you with some expert tips to help streamline and simplify your selection process. Unlike in years past, thread count isn’t a sign of quality any longer. Unless it’s an astounding and very lavish fabric, a high thread count is nothing but a mere numbers game in that many firms often cheat the numbers with double twist yarns in a cheaper fabric. I actually prefer a 400 single pick percale sheet because of its crisp, cool feel. However, if you like a soft, warm, bed, a great stretchy jersey sheet might be your thing, and that’s not about thread count at all. The kind of material you pick for your sheets has a lot to do with personal preference. Why? You’ll either be on or in it for eight or more hours, for crying out loud! That said, here’s a brief overview of the most common materials used for bed sheets today. Cotton: The best quality (and most expensive) is 100% Egyptian, which has extra-long-staple fibers that produce sumptuous, yet extremely durable sheets. Pima or Supima cotton: A medium-to-extra-long staple fibers material, is known for its softness and sheen and is a little more affordable than Egyptian cotton. Linen: Ideal for hot climates, linen sheets are some of the most expensive out there, but will last for decades on end. Poly-blend sheets: Easy and resistant to wrinkles. The way sheets are woven have an impact on how they feel. Percale is lightweight and tightly woven, which leads to crisp, cool, bedding, while microfiber’s super-tight, dense weave makes it wrinkle-resistant, extra-soft, and resistant to water. Some other weaves to consider are ultra-soft and lustrous sateen, and flannel, with a nappy texture perfect for cooler climates. Like any other component in the bedroom, sheets play a crucial role in the overall aesthetics of the room. It’s advisable to have a small, medium, and large scale mix of patterns in the same color family since it’s an easy way to start experimenting with prints. How many sheet sets you need is completely up to you and how often you like to switch things up. But bear in mind, sheets that may seem best suited for summer can actually work all year with the addition of a coverlet, blanket, and throw to make your bed cozier for the fall and winter months. Click here to see what the most recommended cotton sheets are! As mentioned above, getting ample information about a specific material comprising the sheet would help you come upon an informed decision as to what you are actually buying. So let’s now take a look and find out what’s better: silk vs. cotton sheets? What always comes to mind when discussing silk’s complexity is just how fascinating it all is. Before it’s woven into a fine material, silk is taken from the larvae of particular insects, cocoons, and even those ants, bees, wasps, and many more. 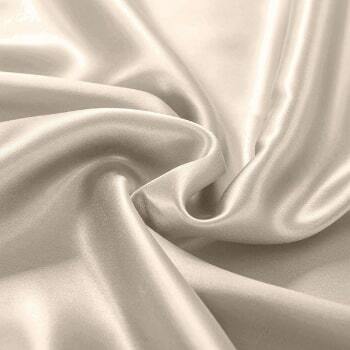 Silk is a natural protein fiber that provides a special smoothness and softness on the skin. It also features a shiny exterior that has become recognizable by fabric connoisseurs and common folks. Simply put, silk looks classy and lavish. Cotton on the other hand, is a soft and fuzzy natural fiber that is one of the most well-liked fabrics all over the world. Cotton is widely used for making clothes and bed sheets. It can also be used in combination with other natural or man-made fabrics to make quality but affordable sheets or clothing. Depending on the fiber length, a cotton fiber can be made into different kinds such as Egyptian cotton and Pima cotton, which are the popular choices for long-lasting quality cotton sheets. Silk isn’t all shine and no substance. Mind you, silk sheets feature a soft and smooth surface that makes it very comfortable and ideal for some serious cuddling. It is also light and gives the skin a soothing feeling. On the other hand, cotton is a comfy fabric that makes the sheets soft and smooth to touch. It does not feel rough nor does it give you a heavy feeling on the skin when you sleep in it. Whether you’re just shutting your eyes for a much-needed power nap or you’re angling for some serious zzzzsss, you can never go wrong with cotton. Another great selling point about silk is its resistance to dust and allergens that often result in allergic reactions. Why is this so, you ask? Silk is hypoallergenic and with its incredible resistance to moisture-causing microorganisms, the development of bacteria ranges from very unlikely to nil. So if you are suffering from allergies or asthma, you should seriously consider getting silk sheets. Meanwhile, cotton is also a hypoallergenic fabric although not as much as silk. Cotton can retain moisture, therefore it can help advance the growth of bacteria that lead to allergic reactions. However, this can be prevented with sufficient and proper care and consistent and regular washing. Silk has thermal capabilities whenever the winter or cold season comes around. But when the temperatures soar and the tropical breeze comes in, it keeps cool and remains comfortable to use. Silk adapts to the temperature and offers great insulation. So, when you need bedding that can adapt with the changing seasons, silk is a fine option to consider. Similarly, cotton is naturally warm and soft and an ideal snuggler in freezing temperatures. As it retains moisture reasonably, the air can flow which leaves no areas for moisture build-up and that awful, muggy feeling. Even when the temperature surges, cotton sheets will still keep you cool. Delicate: that’s the kind of fabric that silk is. It needs extra care and gentle washing for it to last a little while longer. These sheets should be carefully hand washed to retain its quality. Frequent washing is a virtual no-no. Strong detergents are as well as these can do damage to the silk fabric. Cotton on the other hand, needs marginal maintenance. Whether it is warm or cold water, washing cotton sheets is as easy as 1-2-3. Although these sheets still need to be treated with care, you can still use any kind of detergent with it. Silk us typically associated with luxury, its intricate details and remarkable quality leading to higher prices compared to the cost of cotton bed sheets. Cotton sheets are more available to anyone and everyone. It can also be found in nearly any department store. Compared to silk sheets, cotton sheets are inexpensive. Cotton at times, becomes even cheaper when combined with other kinds of fabrics the likes of polyester. It is a natural protein fiber. It has a shiny and elegant appearance. It feels smooth and soft on the skin. Therefore, very comfortable as bedding. It provides a warm and cozy feeling during cold temperatures and keeps you cool even when the temperature gets warm. It is a delicate fabric that should be handled with extra care when washing. Hand washing and gentle detergent are recommended. It is a natural fiber derived from cotton. It gives off extra warmth during cold temperatures. If you want to find out what the most recommended silk sheets are, click here. Which is Better: Silk Sheets vs. Egyptian Cotton? If you have money to spare or you’re just keen to invest in really nice and comfortable bed sheets without blinking an eyelash, then the choices really boil down to Mulberry silk and Egyptian cotton. What makes a good sheet is its capacity to keep the temperature around your body at a level that is both sustainable and comfortable. This means being able to keep toasty in the winter and calm and cool in the summer. Mulberry silk is considered to be a great insulator while cotton doesn’t do all too well in this regard. This means that in the winter, body heat has a tendency to escape through an Egyptian cotton sheet while during the summer, the extra heat from outside will not be able to pierce your silk sheets and get you all chilly. Another factor that may impact the comfort of sleep substantially is moisture wicking ability. Let’s face it, you don’t want to sleep in a ton of sweat. Silk is one of the best moisture-wicking materials in the market today because of the structure of silk fiber having large hollow spaces in the middle. Cotton, while an able moisture wicker at the start, quickly becomes ineffective when it has retained a specific amount of moisture. If you are a sweaty person, sleeping on a silk sheet should be much more comfortable, especially if you are using a very warm comforter. Silk has gained quite a reputation for its smoothness and lightness, and sleeping on silk has been, at times, likened to sleeping on a bed of clouds. Cotton, while also quite light, is meaningfully coarser than silk when it comes to surface smoothness, which is why sleeping on cotton tends to lead to skin wrinkles and broken hair. Sleeping with silk sheets will give you a good night’s worth of rest, but there are more benefits to be had! Most of these comes from the fact that silk is a natural animal fiber and has vital amino acids a human body needs for a number of important purposes such as skin repair and hair rejuvenation. Since silk is made by silk worms to safeguard them from outside harm during their cocoon phase, it also has the natural ability to dismiss unwanted substances such as bacteria, fungi and other insects (such as dust mites), making it naturally hypo-allergenic. Cotton, on the other hand, is a plant fiber and needs to be treated before it can be woven as threads. It is not hypo-allergenic by nature, although you can wash a cotton sheet often to reduce possible buildup of allergens. Silk fabric is sold by its momme weight, which is measured in grams per square meter. Silk of 19 momme or above is deemed high-end. The higher the momme weight is, the more dense and opaque the silk develops. Cotton fabric is sold by its thread count, which is measured by number of threads per square inch. A cotton sheet with a thread count of 600+ is considered to be okay. In general, high-end silk is more expensive than high-end cotton, although as a long-term investment, silk is still very much a worthwhile choice. In all, Egyptian cotton sheets is the more cost-effective choice, and despite not having as much comfort or nearly as many pluses, it remains a very decent decent pick when the discussion involves comfort vs price ratio. But of course, if money is not a pressing need of yours and demand the absolute best, then Mulberry silk should satiate all your needs for a good bed sheet to place on your bed. To find out what the best cotton sheets are today, click here! The price tag may seem exorbitant, but this set is the best deal you’re going to find when it comes to silk sheets. Not only does this set come complete with a flat sheet, a fitted sheet, and two pillowcases, but they’re 100 percent Mulberry silk, boast of a 400 tread count, and 19 momme. And you can have them in twin, queen, and king and come in a few neutral colors including silver, black, and white. This single 100 percent mulberry silk sheet boasts of a thread count of 600 and a momme of 22 that means its denser weave protects the luster, sheen, and durability of the silk fibers better. It’s hypoallergenic, naturally dyed, and works great for wicking away additional moisture for a cool night’s worth of sleep. There are several color and size options available to suit your bed or decor. If you’re working with a tight budget, consider the this Taihu Snow fitted sheet. It just comes with one piece, but it’s made from 100 percent pure Mulberry silk to make your mattress cool and breathable all through the night. “The life of luxury!” said a reviewer. “Absolutely the best bed sheet I’ve slept on anywhere on Earth!” said another. Because they’re seamless and have deep pockets, this four-piece Orose Charmeuse Mulberry silk sheet set is super luxurious and smooth. They’re also handmade to avoid damage to the material, which is why many reviewers describe them to be “very soft and very comfortable.” They come in five sizes, multiple colors, and are very simple to care for. 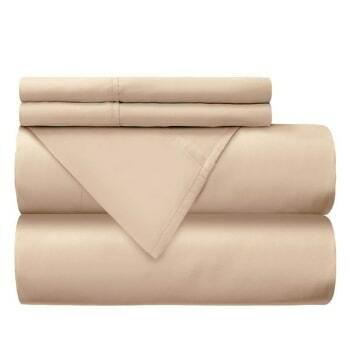 The Luxe Core Set by Brooklinen is your very best bet when it comes to cotton sheets. The four piece set is made from a 480 thread count in a soft sateen weave for an ultra deluxe feel, which makes sense especially since they’re part of their Premium Line. The ultra high quality sheets in this class are also slightly heavier than their original models since they’re made of long form cotton. Additionally, they’re Oeko-Tex® certified free of harmful chemicals, so while you rest away, you won’t have to worry about irritation. Are you craving for the feel of that bed sheet you experienced while at that deluxe hotel? This Mayfair selection is made from 100% Egyptian Cotton yarns to give you that unforgettable experience even when you aren’t traveling! With an 800 thread count, they guarantee super soft luxurious feels that’ll keep you at ease for many, many, many nights. They are designed with a breathable fabric that wicks away moisture to keep you cool through the night as well. This set is a reliable option that works very well for a number of different needs. 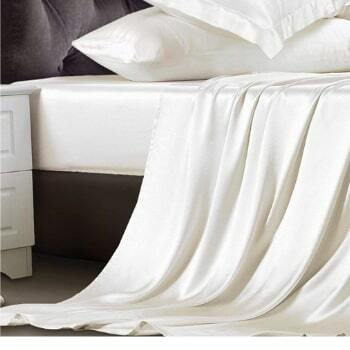 The Mellanni brand consistently makes high-quality linens that are soft, yet safe for everyday use. 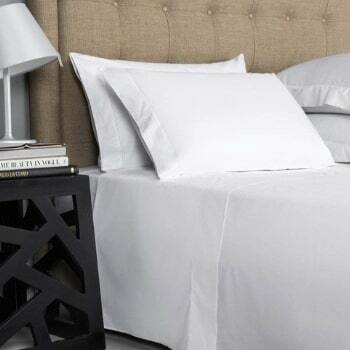 With the cotton bed sheet, this offers luxurious comfort at a 300 thread-count. Plus there are a variety of other benefits that includes durability, breathability and fade resistance. You can also wash these without having to worry about damaging them. The company also offers an 100% money back guarantee, so trying them is actually absolutely risk-free. If affordability is what you are after, especially when you are buying for an extra room in the house or just to have an extra bed sheet stored away, consider the AmazonBasics 400 Thread Count Sheet Set as a staple to add to your linen closet, or on the bed. 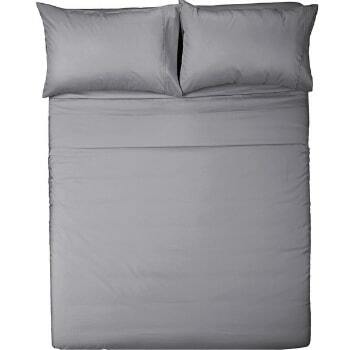 Made of 100% cotton, the 400-thread-count sheet set delivers breathability, dependable strength, and a wrinkle-free ability that allows it to retain its luxurious look. Aside from those, the sateen finish gives your room a plush look. The neutral color palette mixes well with current bedroom decor, while the decorative hem offers more aesthetic appeal. So after reading all the comparisons between silk vs. cotton – have you already figured out which sheets are for you? Even after this broad review, picking between silk and cotton sheets was still a tough call. When it comes to comfort, insulation, and overall performance, both sheets excel in their fields and truly make a great choice for bedding. Although they both possess outstanding durability, the battle gets turned up another notch when cost and maintenance is taken into consideration. As these are crucial factors to consider, cotton sheets have the upper hand. They have insulation and comfort traits in addition to the fact that quality is retainned for long periods of time. Aside from these meaningful points of contention, maintenance is marginal and the price tag won’t make you take a double take when seeing it. It is accessible for everyone as well and can be found at almost any department store. Although it isn’t as hypoallergenic as silk, the growth of bacteria can still be prevented with the right maintenance and consistent washing. However, if money is not an issue or you just want to splurge or invest in more expensive bed sheets, then luxurious silk sheets are the way to go.